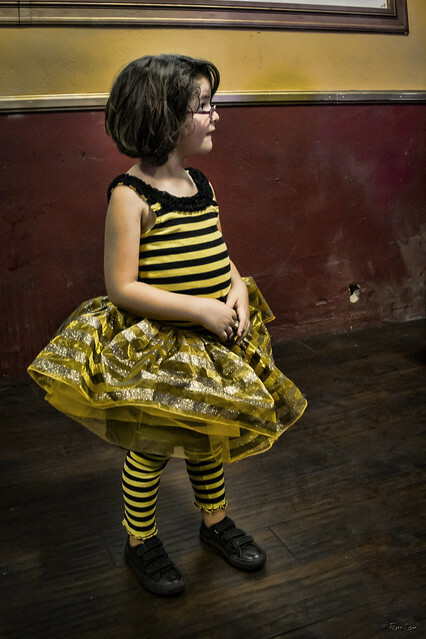 Tonight was the screening of the Bumblebeelovesyou film documentary at the Epic Lounge in downtown Downey. (More on filmmaker Julian Park tomorrow.) Bumblebee is a street artist from Downey, whose work we have posted about several times over the last year. In addition to the screening, Bumblebee had numerous small works on display and for sale. 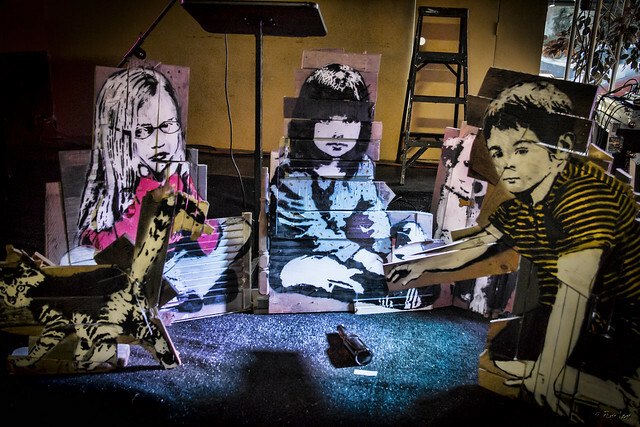 (His street art is not small—his latest is 18 feet tall!) The works were done on a variety of surfaces, and they were all intriguing, as you can see by the close attention paid by the man above. Bumblebee's work usually portrays children and nearly always includes his signature stripes of yellow and black—and of course some bees. The young girl at left certainly came dressed for the occasion! Bumblebee says that he overcame his family's initial skepticism to become successful as an artist. 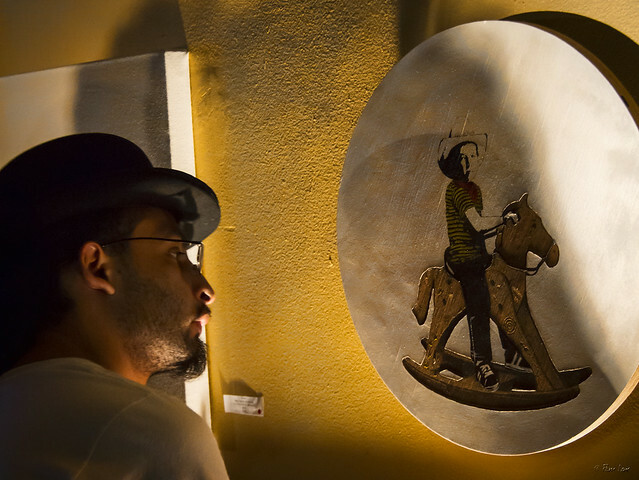 He views his street art as a gift to the community, and his art sales help finance this gift, according to this article in the Downey Patriot. I'm glad to be one of the lucky recipients of that gift.